This spring inspired look has warm neutral colors with a pop of green. 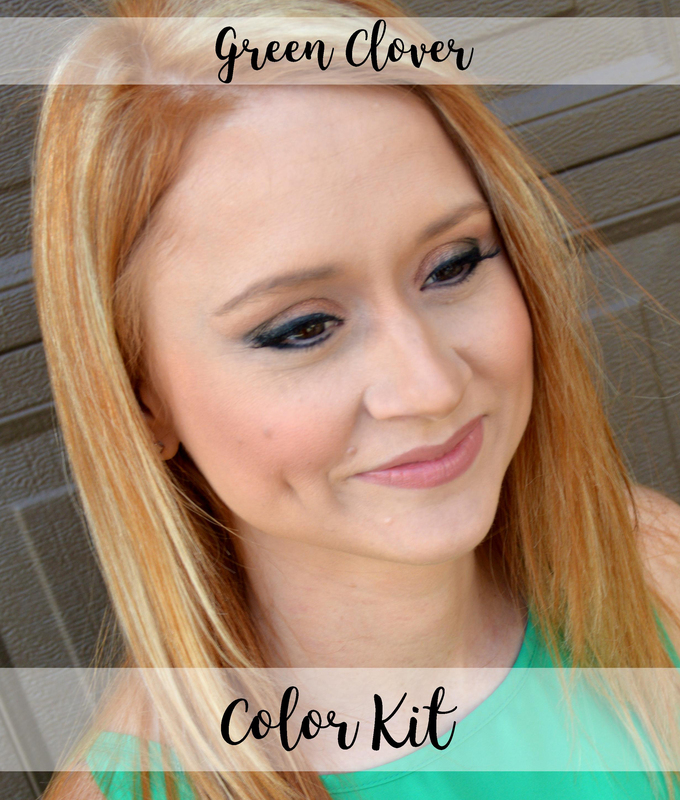 Green Clover Color Kit includes 7 products that perfectly coordinate together! 2 Eye Shadows: Oyster Pearl & Spanish Moss. Blush: Life's a Peach. Lipstick: Tender Toffee. Lip Liner: Charred Spice. Lip Gloss: Mimosa. Be sure to watch the video tutorial on Facebook to see step by step on how to achieve this look yourself! Monthly color kits are a great way to add variety to your everyday makeup!